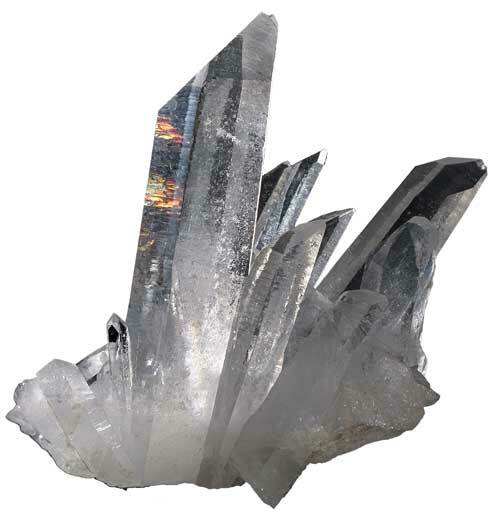 Crystals are the type of solids, which are the organized arrangement of atoms in a particular shape, and have a regular shape. Crystals are mostly identified with their shining and smooth flat surface. We all see the crystals in our daily lives, without even noticing them. For example, the sugar cubes and rock salt in your kitchen are actually crystals. We also use crystals like diamond and rubies in our jewelry to make them look more attractive. Crystals are formed in a process, known as crystallization. In crystallization process, atoms of a solid substance start to arrange themselves in a regular pattern to form a crystal. So, how solids can rearrange themselves? Actually, there are various methods in which solids can rearrange themselves to form crystals. One way for the solids to rearrange themselves is to dissolve them in a liquid. When solids are dissolved in a liquid, their constituent components are free to move. When that liquid will start to evaporate, these individual components will precipitate and stick together in a regular pattern. This process continues till all the liquid is evaporated. During that time crystals will continue to form and grow. You can also observe this process in your kitchen. To do this, put few spoons of the table salt in a pot and then pour some water in it until the salt is completely dissolved. Now place that pot on a stove at low heat. As the water will evaporate, smaller crystals of salt will start to emerge and grow. Check out our experiment, how to make rock candy at home to fully understand the process. In this process, a solid that needs to be crystallized is first dissolved in the liquid to make a solution. Then, this solution is cooled so that crystals can be formed. Solids can also rearrange themselves when they are melted and solidified. For example, when water is starting to freeze in the clouds from its liquid state, it forms ice crystals known as snowflakes. Diamond is the hardest crystal on the Earth. The Scientific study of the crystals is known as crystallography. LCD screens use liquid crystals in their display. World’s largest crystal was found in Madagascar. It is 18 meters in length and 3.5 meters in diameter, with a weight of 380,000 kg. Abdul Wahab, "Crystals," in Science4Fun, April 13, 2019, http://science4fun.info/crystals/.